Posted by Katie Langthorn on Tuesday, April 16th, 2019 at 4:10pm. 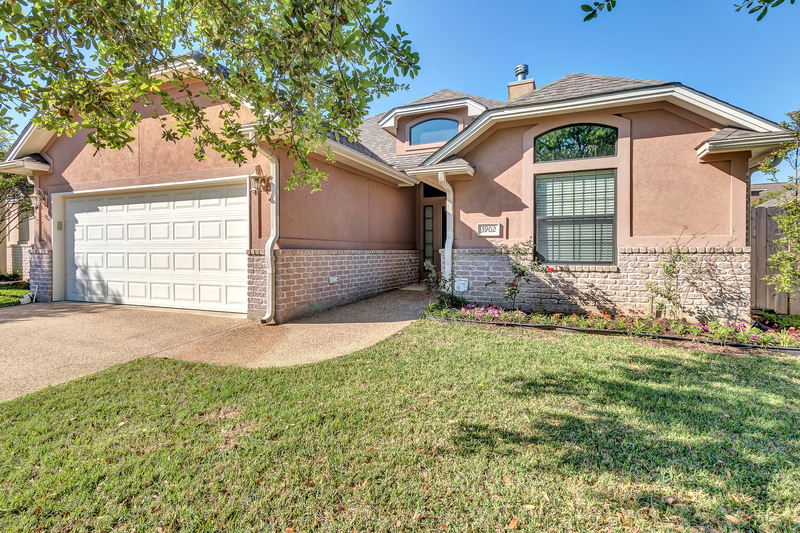 Delightful home ready for its new owner at 3902 Faimes Ct! Enjoy no carpet, cathedral ceiling in front bedroom, built-in desk and shelves in second bedroom, plus a study off the hallway. Living Room is central to the home, with beautiful natural light, wired for surround system, sitting that faces the stone fireplace, and more built-in shelving. Open-concept kitchen shows off dark stained cabinets and stunning granite counters. Plus there’s an eat-in granite top bar, and an additional breakfast area to enjoy! Master bedroom is oversized, with a bathroom that boasts double vanity counter top, jetted bathtub and separate shower, also huge walk-in closet. Play in the large backyard, definitely a MUST SEE! !